Figure 1-36. Free Bolt Momentum Imparted After Unlocking. 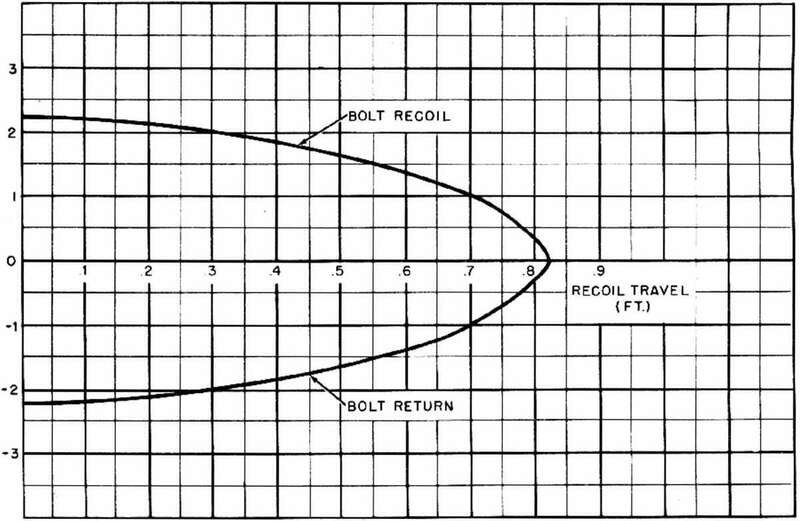 The loss due to the combined spring constant K, as determined by the method of step 4 is only about 0.26 foot per second. This loss is so slight that it is not necessary to continue the process of successive approximation any further than step 5. Examination of the curves of fig. 1 34 reveals that the total recoil movement before unlocking is 0.0470 foot (0.565 inch) and the recoil velocity at the instant of unlocking is 19.2 feet per second.